South Korean carmaker, Ssangyong, is a most honourable car company, about which so many potential buyers are simply unaware, writes Iain Robertson, even though its predominantly 4×4 line-up now has a ‘4×2’. It has never ceased to fascinate me how the SUV sector of the new car scene has been radicalised in recent years. When I was a lad, 4WD vehicles were simply that; usually agricultural in style and purpose, they were designed with go-anywhere functionality in mind and occupant comfort and even safety were not even remote considerations. Naturally, there was a small niche that existed in which 4×4 fans developed, some of them on a social front, others in motorsports, or even for business needs, towing and reaching outlying sites. However, the archetypal British 4×4 remained quite securely in the off-road environment. Then, the Range Rover came along. In fact, I was still a schoolboy, in 1970, when the first £2,000 super-Landy made its debut. Apart from a very glassy appearance and a punchy V8 engine, it had style. The Range Rover turned the entire sector on its head and, ironically, Land Rover had not the foggiest idea of how monumental would be its transition. Of course, both America and Japan offered their own slants on what participating in the great outdoors meant and both Jeep and Toyota were already winning hearts worldwide. 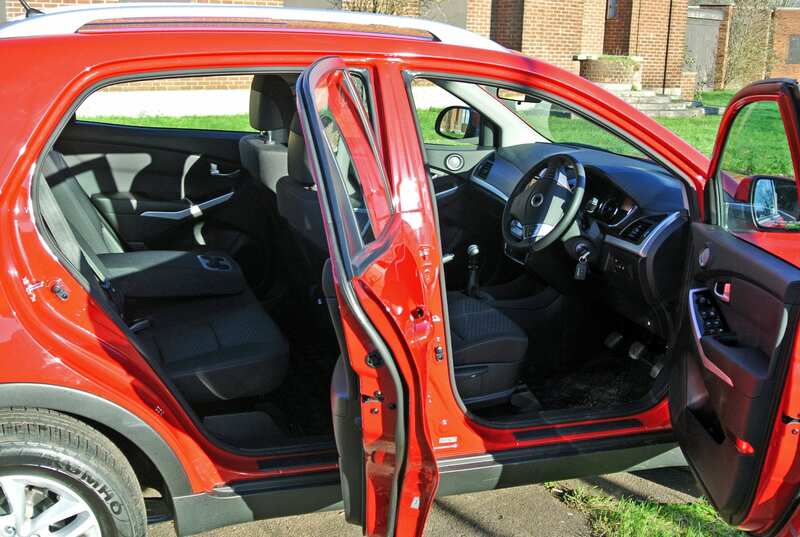 As rubber floor mats turned to Wilton and plastic seats became Nappa hide covered, a period of around ten years passed, during which a fast-growing number of other carmakers started to delve into the 4×4 scene. Among them was Ssangyong, in one of its former corporate iterations. It was only the world trading ambitions of another South Korean car company, Daewoo, that put Ssangyong on the map. It was an unstable relationship but the firm had its step-up, from local market, onto a world stage. Yet, before looking in any detail at the test car, it is worth lingering at how the sector has become even more refined. In fact, 4WD status, partly due to its broader acceptance but mostly due to other social situations, no longer carries the remit it once used to over the past 40 years. The ‘look’ is now considered to be more important than the core engineering. Although difficult to pinpoint which of the world’s carmakers first determined that two-wheel-drive was eminently adequate for a sport utility vehicle, Nissan, Toyota, General Motors and even Ford had established that transmission complexity was an unnecessary addendum for a vehicle that might spend in excess of 99% of its time on solid tarmac. It was only a matter of time before the 4×4 purists would admit that the volume players had a point. While many of the stalwarts, Jeep, Land Rover and Ssangyong, were among the last of the manufacturers to admit that 2WD could be enough and that it would not ruin consumer perceptions of their brands, they all produce ‘4×2’ versions of established multi-surface vehicles these days. They have been aided in no small way by a raft of technological advancements, which make 4x4s seem like over-engineered leviathans. Smart electronics packages provide traction and stability of such a high order that 4×4 is fast becoming the remit for the agricultural sector all over again. What is it that is said about ‘what goes around, comes around’? When Ssangyong revealed its new Korando model around 2010, it was a major departure from the original rounded ‘Jeep’ original. Aimed squarely at the (then) new class of junior-league SUVs, it was attractive enough to look at (styled in Italy) but lacked enough refinements to make it uncompetitive in a fast-growing segment of the SUV scene. 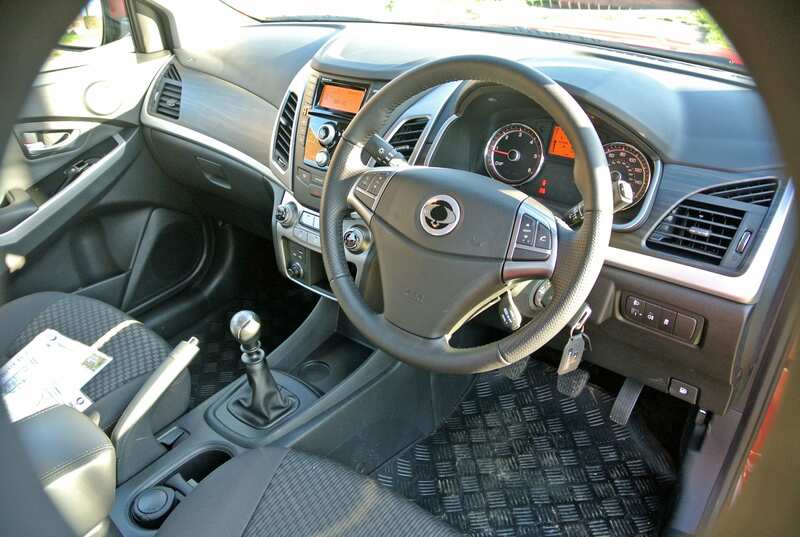 The latest, recently upgraded model represents a vast improvement and highlights that Ssangyong is on the right track. The range starts at a value-packed £15,995, which should make most potential buyers in this class prick up their ears. 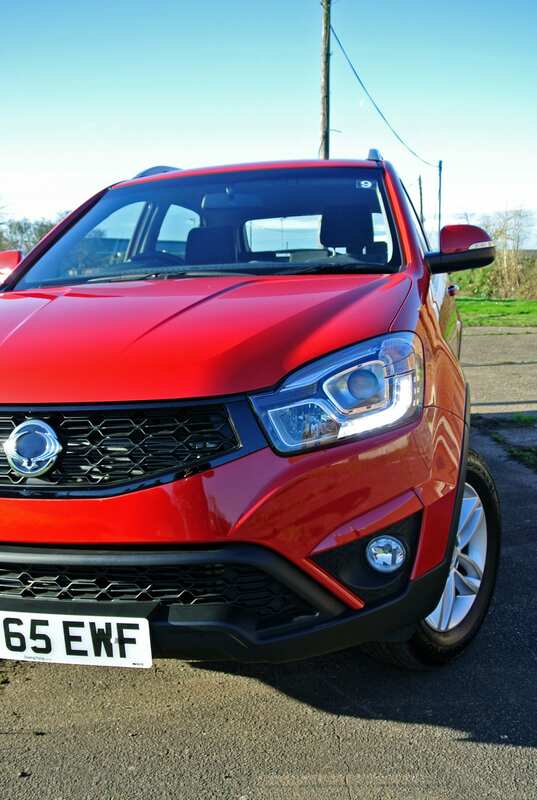 Even the all-singing-and-dancing, automatic version weighs in at a competitive £22,495, an area that even my dread detestation of ‘market pricing’ cannot become over-anxious about, because most of the Korando’s rivals are more costly, by considerable margins. While some of the firm’s products can never have been described as ‘attractive’, most of them are characterful and actually good-looking. The Korando is no exception. As far as standard equipment is concerned, its hide-wrapped tiller is a bit below par on the quality front but it does possess tinted glazing, a remote key-fob, trip computer, alloy wheels, all-round electric windows, rake and reach adjustable steering column, cruise control, puddle lamps in the heated, folding and electrically adjustable door mirrors, as well as air-con and a decent CD-stereo system. 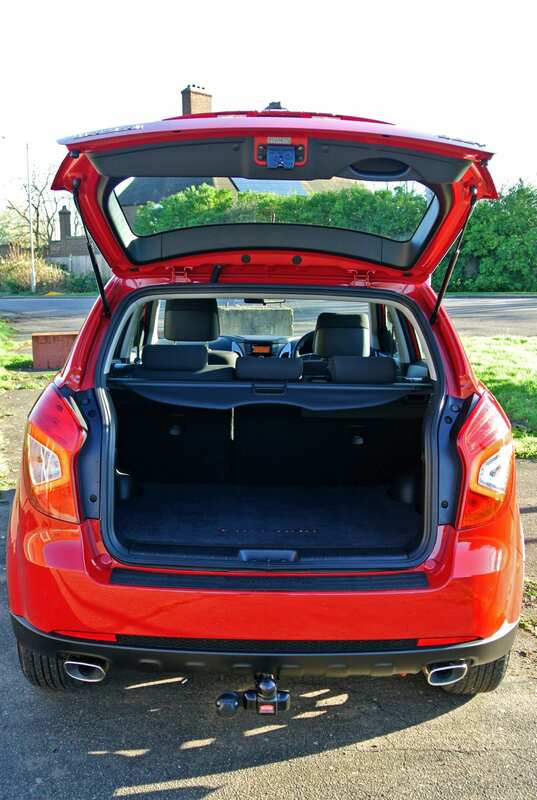 There is bags of space in the cabin and the boot is short of neither accessibility, nor generous luggage room. 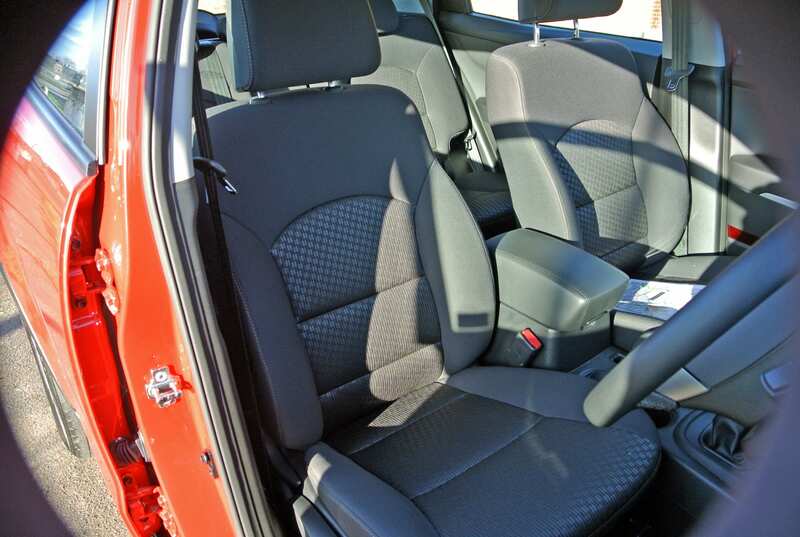 The driving position is very good, plenty of adjustments allowing a moderately easy to achieve and comfortable, while commanding, view outwards. In fact, fairly narrow pillars ensure that the blind-spots issues afflicting several models in this sector are not present. All of the major and minor controls fall readily to hand and there are zero complications on that score either. Some of the materials used in the cockpit are not of the highest quality but, if you plan on carrying out some mud-plugging, apart from the cloth seat upholstery, which might get a bit mucky, they are all wipe-clean surfaces and appear fairly durable. Power is provided by a Mercedes-Benz sourced 2.2-litre turbo-diesel engine. The unit develops a meaty 175bhp but benefits from a solid slug of 295lbs ft of torque, which can be tapped into from little more than idle speed. It is only raucous at low road speeds, remaining quite refined across the speed and rev-range, driving through a six-speed manual gearbox. The shift quality, across a fairly wide gate, can be obstructive occasionally but a fluent clutch operation and no faults with most of the other dynamic functions ensure that progress is pleasant enough, if you do not rush it. Such a substantial amount of pulling potency should be of benefit to people desiring a dependable tow-car and, even though Korando tips the scales at a hefty 1.7-tonnes, the trade-off is a 2.0-tonnes maximum towing weight (750kg unbraked trailer), which is immensely impressive for a front-driven hatchback, possessing a moderately high centre of gravity. Its top speed is given as 115mph and it can despatch the 0-60mph benchmark in around 10.2 seconds. The Official Combined guide fuel figure is 53.3mpg, although I did not witness better than a registered 46.5mpg during the test. Its CO2 rating of 139g/km equates to an annual but not excessive VED charge of £130, at present. 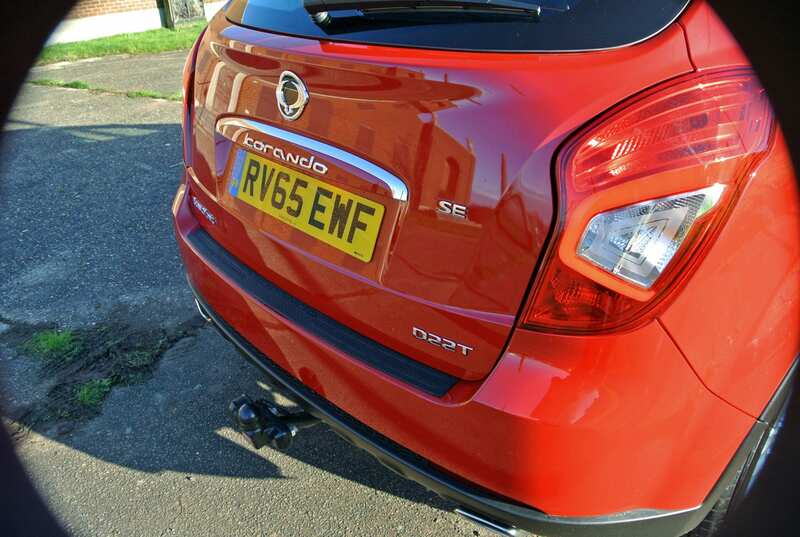 Thanks to firm but fairly long-travel independent suspension, the Korando rides well and corners confidently. Its electric power steering is slightly dead in feedback terms but the driver is seldom unaware of where the front wheels are pointed. The steering wheel returns to the straight-ahead in a well-measured manner. The brakes provide assured stopping power and body roll is well-controlled, which imparts an impression of first-rate stability. 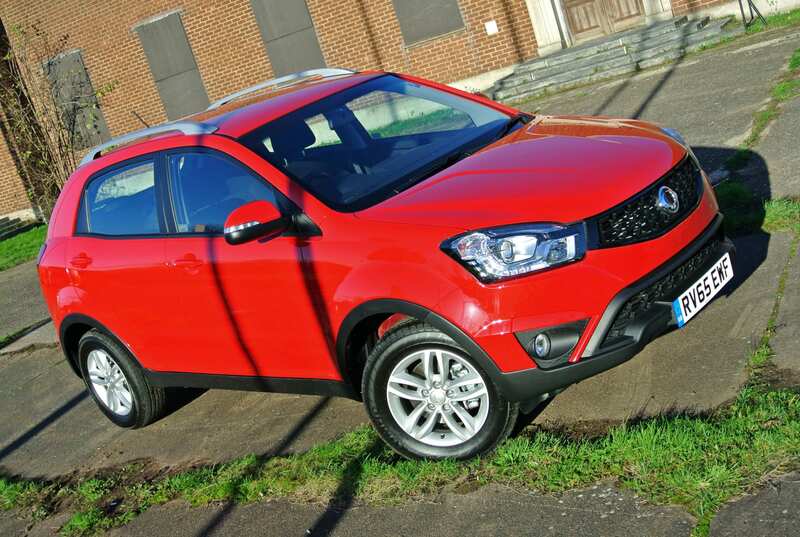 Apart from a few minor details, the Korando is a capable and competent family car and work tool. Conclusion: Ssangyong cut its teeth in the 4×4 arena but it is eminently aware of the direction of the new car market and flexible enough to adapt. 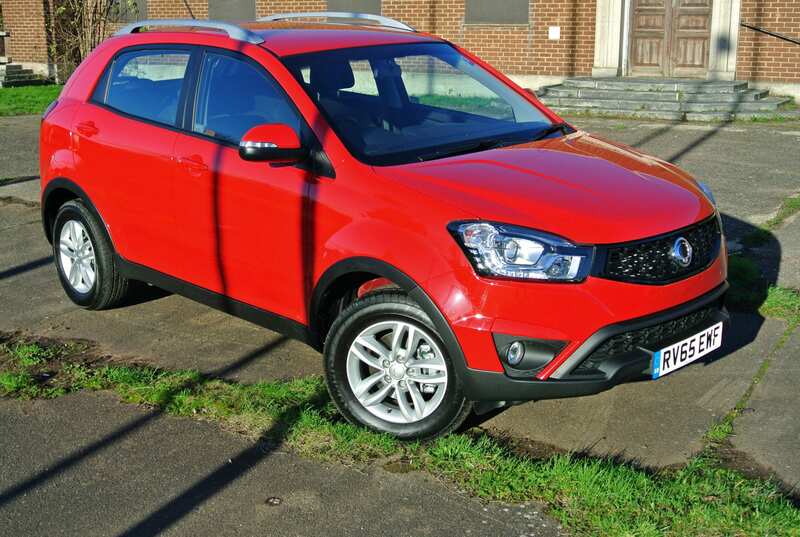 The Korando meets demands very positively and it manages to look the part and behave impeccably. Well proportioned, practical and (hopefully) as indefatigably dependable as any Ssangyong that has ever existed (ask farmers, they know), the latest Korando will prove to be a fulfilling purchase for many types of driver, private, or business, and they will benefit from its five years, transferable, unlimited mileage warranty as back-up. They are a cool little car, but I am not sure I would actually buy one… I would the for the wife though as she likes the little Karando. « Mumbai Memoir 46- Mumbai dreams through Bollywood!